Waterloo – The Natural Sciences and Engineering Research Council (NSERC) has funded two environmental youth camps led by Wilfrid Laurier University researchers. The funding, through an NSERC PromoScience grant, will support one camp hosted in the Waterloo Region and one in the Northwest Territories (NWT). The Waterloo-based Aquatic Science Outreach Network for the Grand (AquaSONG) project will receive $6,500 for one year to engage and inspire high school students in the field of water science through hands-on field sampling and laboratory analyses. AquaSONG will expose students to hands-on research techniques such as collecting water and aquatic invertebrate samples, conducting biological and chemical assessments of samples and then creating water filters and testing the efficacy of their designs. The project is led by research technician Gena Braun and supported by Ken Maly, vice-dean of the Faculty of Science and associate professor in Laurier’s Department of Chemistry and Biochemistry. The Northern Research Leadership Camp, based in the NWT, will receive $108,000 over three years to engage Indigenous youth in an “on-the-land camp” experience to learn about scientific inquiry and techniques used to measure changes in water quality, permafrost conditions and ecological function directly from experienced Laurier researchers. Camps will also include traditional knowledge holders who will provide Indigenous perspectives on the land and water. 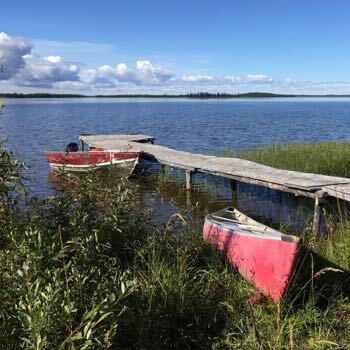 Baltzer is also the principal investigator on the Northern Water Futures (NWF) project, which seeks to understand, predict and address the impacts of climate change and industrial expansion on shared water resources across the Northwest Territories. The project received $2 million in funding from Global Water Futures, one of the largest water science collaborations in the world and in which Laurier is a key partner. The NSERC PromoScience funding will help to support the mobilization of knowledge generated as part of this project. Laurier also has a longstanding partnership with the Government of the Northwest Territories and established a research office in Yellowknife in fall of 2017. Read more about Laurier’s northern research initiatives.